Following overwhelming support on the behalf of MEPs for the nation’s centenary celebrations, Charles Tannock MEP expressed the need for the EU to support greater trade relations and global participation for the island nation. British MEP Charles Tannock has urged the EU to "continue to push for meaningful participation for Taiwan in international organisations". He also took a swipe at the commission for its "lamentable" lack of support for a trade deal between the EU and Taiwan. But, speaking at the same event, Taiwan's highest-ranking diplomat in Europe praised the "many efforts" being made to connect the two sides. Tannock's remarks came at a special event in Brussels to mark Taiwan's centenary as an independent sovereign nation. Tannock revealed that over 250 MEPs have signed a letter congratulating Taiwan on its centenary and several parliamentarians and EU diplomats from several countries attended the event on Wednesday [5 Oct. 2011]. In an opening address, Tannock, a Tory MEP, said, "Under president Ma's leadership, Taiwan has progressed as an economic powerhouse in south east Asia and is respected worldwide for its high tech industries and respect for our common values of democracy and respect for human rights and the rule of law. "The fact that 253 MEPs – a third of the European parliament – have co-signed my letter of congratulations to president Ma on the ROC centenary proves Taiwan has an ever-growing number of friends in the EU." The ECR member added, "This past year has seen visa liberalisation for Taiwanese nationals travelling to the Schengen zone following on from the UK and Ireland last year and also in an increasing number of Balkan countries which will bring Taiwan and the EU immeasurably closer, both economically and politically to Europe." He went on, "I regret the US decision not to supply new F16 aircraft. The upgrade is of help, but the US administration should not forget its own responsibilities under the Taiwan relations act passed by its own congress. "As Taiwan moves into its second century, the ROC's friends here in the EU will continue to push for meaningful participation for Taiwan in international organisations which do not require formal statehood. "We will also support the maintenance of cross-straits dialogue and the stability of the economic cooperation framework agreement with Beijing, and campaign for an EU-Taiwan free trade agreement. "This, lamentably, is opposed by the European commission following a debate we held in the Strasbourg parliament during the last plenary session." Speaking at the same event, Taiwan's representative to the EU and Belgium, David Lin, pointed out that "many efforts" have been made to strengthen the ties between Taiwan and Belgium and Taiwan and the EU. He said, "For example, the EU agreed to lift visa requirements in January 2011 allowing Taiwanese passport holders to move freely across the Schengen zone. "Consequently, the number of Taiwanese visiting Europe has increased by almost 40 per cent from last year. "2010 was a successful year of trade between Taiwan and the EU. The EU is Taiwan's fourth largest trading partner and Taiwan is the EU's 15th largest trading partner worldwide. "With more people-to-people contacts and increasing business-to-business exchanges, there are tremendous opportunities for even greater Taiwan-EU economic cooperation." Lin added, "The ongoing trade dialogue and the relevant working groups will add more momentum to the process of launching a feasibility study on a potential economic cooperation agreement (ECA) between Taiwan and the EU. 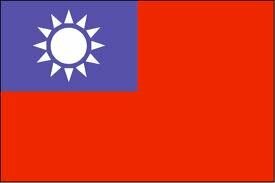 "Taiwan is grateful to parliament for adopting the common foreign and security policy resolution on May 11 of this year, explicitly supporting the signing of such an ECA as well as Taiwan's meaningful participation in international organisations such as the United Nations framework convention on climate change, the international civil aviation organisation and the World Health Organisation." He said, "Taiwan will continue to promote cooperation and exchanges to deepen the understanding and friendship with the EU."